WALKSTRONG ~ www.walkstrong.ca: " I'm Sensitive ... "
There is a great deal of talk about having issues with Gluten. After recent discussion with family and friends, I realized that I needed to understand what it is and why so many are intolerant or sensitive to it. Did you know that gluten comes from a composite formed from different proteins? Within gluten, there are actually four main proteins: albumins, glutelins, globulins, and prolamins. Glutelins and prolamins are found in higher concentrations in wheat, while albumins and globulins are more plentiful in corn and rice. Many people are unaware of what this all means, as every individual with some level of gluten intolerance or allergy may experience different shades of these symptoms. 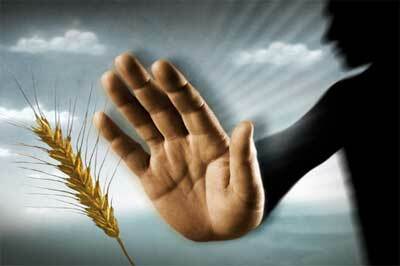 But always consult with your medical practitioner if you think you may be sensitive to gluten. Self diagnosis is not recommended as it can be just as dangerous to your health. Better tests are now available for raised levels of certain auto-antibodies in our blood. These antibodies are produced when the body sense a dangerous intruder allergen, like gluten. If the results indicate an allergy to gluten, the doctor may perform a small intestine biopsy. This will reveal the damage to the villi in the small intestine. Note: it is important to eat an ordinary diet including gluten, before being tested. Just another reason to understand what is in your food ... read labels carefully. A great place to start is to know what you are sticking in your mouth first.